Queen Creek is becoming the Queen of Festivals in Arizona with the four new festivals the town added recently. Starting as early as this week and running through the spring, these new festivals cover a wide variety of interests from beer and wine to making a general mess. We’re going to give you the breakdown of these new festivals so you can find the one(s) for you! Held every Sunday at the Queen Creek library starting October 4, the Queen Creek Farmers Market features a wide variety of Arizona grown fruit and vegetables, local vendors, food trucks and entertainment. 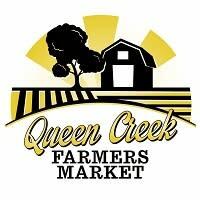 Queen Creek has a long and rich agricultural history so what better place for a farmers market. The market is a great way to support local businesses and farmers and enjoy the splendors of Arizona. Do you love rusty, “well-loved” treasures? Do you like wine? If you said yes to either or both of these questions then the Vintage and Vino festival is for you. A festival dedicated to all things vintage, attendees will be able to peruse and purchase one-of-a-kind vintage goods, repurposed furniture and handmade goods, all while sipping on Arizonan and other regional wines. Here’s an insider tip for you: Arizonan wines are one of the next big things in wine so this would be a great chance to discover them. The festival runs October 23-24. Bacon, beer and blues music, the title of this festival is pretty self-explanatory. This one-day family-friendly festival celebrates bacon, blues music and local craft brews. Head down for live entertainment by blues and country artists and to sample the local craft brews Arizona has to offer. You know what those craft beers would go well with? The assortment of bacon-based dished local chefs will be offering at the festival. It all goes down November 7 so start saving room for all the bacon and beer you can eat and drink! Moms and dads, it’s time to let your kids make a mess, well at least at the Queen Creek Messy Fest: The family festival dedicated to all things messy! Kids, and even parents, are encouraged to make a mess in a variety of ways, ranging from clay mud pies and shaving cream to a mud pit and bubble zone. You’ll want a change of clothes for this festival. Take part in all the messy fun on April 2. We hope you enjoy all these great festivals Queen Creek as to offer and be sure to share all your vintage, bacon and messy times with us using #CityLimtiless. For more fun events to attend throughout City Limitless click here.